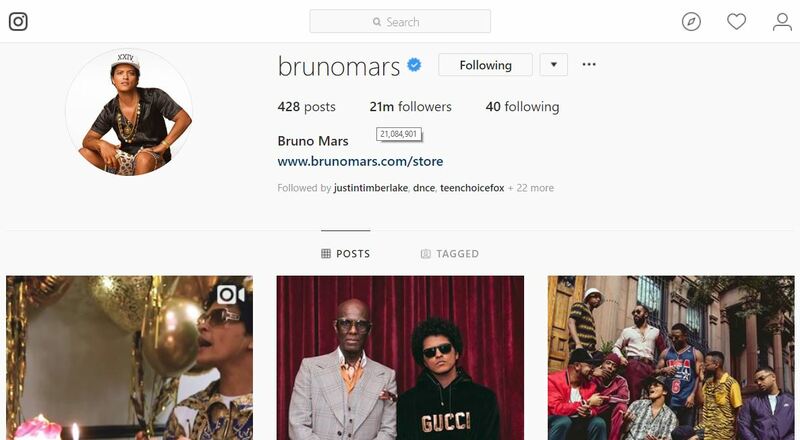 Multi-platinum artist Bruno Mars has 42.2M Twitter followers and 21.1M Instagram followers. Last year, he received 8 American Music Awards nominations. Mars is currently traveling the world while performing on the 24k Magic World Tour. After performing with his band in 164 shows, Mars made $303.5M on the 24k Magic World Tour. Tonight, Mars is scheduled to perform at the Bridgestone Arena in Nashville, Tennessee. One of Mars’ first No. 1 hits of the year is the “Finesse” remix, featuring Cardi B. In March, this song received gold and multi-platinum certifications from the RIAA. Also, the video for the “Finesse” remix has 493M YouTube views. The RIAA certified Bruno Mars’ “That’s What I Like” as a multi-platinum single. The upbeat, animated video for “That’s What I Like” has 1.34B YouTube views. Bruno Mars’ “That’s What I Like” received three trophies at the 60th GRAMMYs for Best R&B Performance, Best R&B Song, and Song of the Year. “That’s What I Like” is featured on 24k Magic, which was released in November 2016. This platinum-certified album received two trophies at the 60th GRAMMYs: Album of the Year and Best R&B Album. 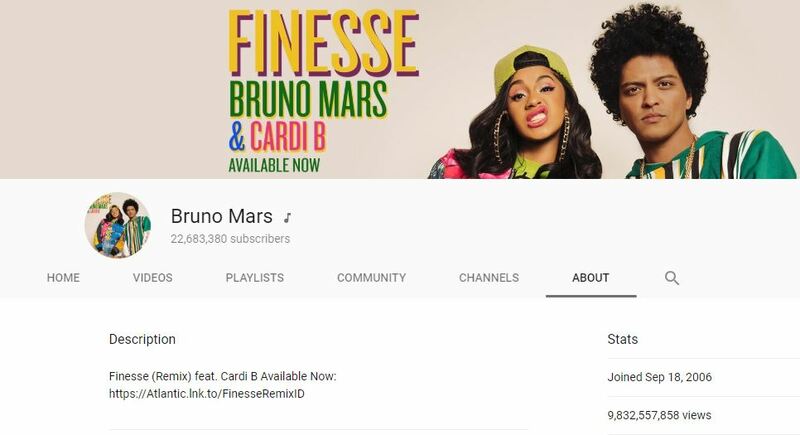 Now, 11-time Grammy winner Bruno Mars’ YouTube channel has 9.8 billion YouTube views and 22M YouTube subscribers. 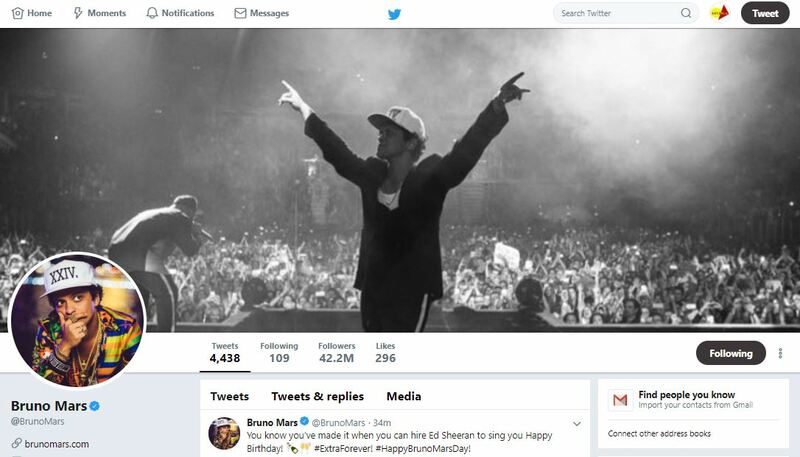 Today, Ed Sheeran sang to Bruno Mars for his birthday while mentioning that Mars accomplished the rare feat of performing at two Super Bowl halftime shows.